Several players will look to showcase their talent for their new clubs this season. One of these players is Salomon Rondon - Newcastle's new center-forward. Having negotiated a successful player swap loan deal with West Brom earlier this week, the Magpies secured Rondon's services in exchange for Dwight Gayle. The new number nine has played for the Baggies over the past three seasons, though his goalscoring contributions were limited given their slow and defence-heavy playing style. During his tenure in the Midlands, Rondon lacked the flexibility and support that strikers need to flourish up-top. Under both Tony Pulis and Alan Pardew, the Venezuela international forward was often isolated up the field while the majority of his teammates defended for sustained periods and rarely provided him with adequate service to utilise. As a result, Rondon does not boast the most spectacular Premier League statistics. In his three seasons with West Brom, Rondon has made 108 appearances, scoring 24 goals and creating eight more in England's top-flight. 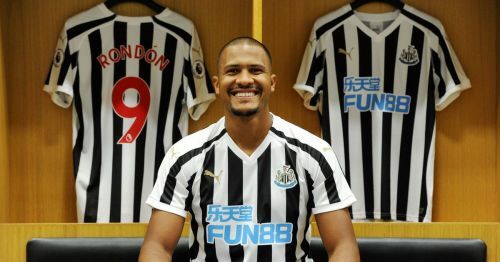 With his recent switch to Newcastle, Rondon is surely looking forward to this new chapter in his career. Moreover, one can safely assume that he is excited to play under a world-class manager like Rafa Benitez. Of all the well-known, quality strikers in the Premier League, why will Salomon Rondon be the one to take the league by storm? The answer is quite simple and it is centered on his new and much-improved supporting cast. As mentioned earlier, Rondon was the lone frontman at West Brom and received little support from his midfield teammates. In addition, even when Rondon was properly supported during attacks, the quality of players in their midfield was mediocre to say the least. At Newcastle, Rondon is likely to greatly benefit from the 4-2-3-1 formation that Benitez regularly prefers to deploy on the field. In comparison to his previous employers, Newcastle have an impressive midfield comprised of both youthful quality and experience. During the summer transfer window, the Magpies brought in seven new players. Two of these players are talented midfielders from Chelsea and Swansea City - Kenedy and Ki Sung-yueng. 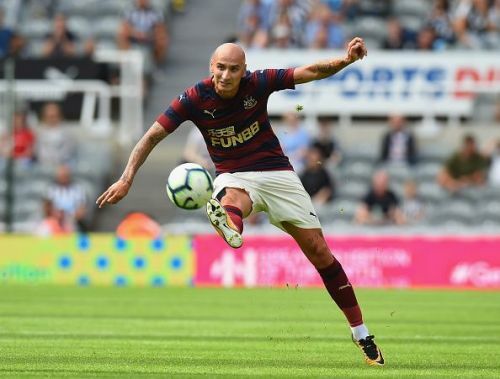 Add to that the leader of their midfield, Jonjo Shelvey, his attributes will fit perfectly with Rondon's playing style given the Englishman's excellent passing range and ability to create chances from seemingly nothing. Last season, Newcastle struggled considerably in attack as they only managed to score 39 goals in their 38 league matches. Joselu and Gayle combined for a mere ten goals, which is far from an impressive tally. Their goalscoring woes prompted Benitez to search for a striker with Premier League experience, someone who would not be particularly expensive and effective in his system - Rondon fits the bill. In years previous, the 28-year-old has performed well for La Liga side Malaga as well as Russian giants Zenit St. Petersburg. He netted 55 goals and created 15 more in 130 appearances for the pair combined, so his ability as a goalscorer cannot be questioned despite suffering a goal decrease per season at the Hawthorns. Now that he'll be playing under a new manager with fresh ideas, in a new system, he'll have new expectations. Newcastle supporters are famous for their demanding yet lovable nature, and playing in-front of 52,000 at St. James' Park on a regular basis is sure to help get the best out of him going forward. The immediate expectation for Rondon will be to develop goalscoring consistency and score goals in double-digit figures, which is easier said than done. Having earned a top ten finish last term despite a few early season difficulties, the Magpies are hopeful that their new acquisitions will help them replicate their success and silence fears over a lack of spending in the summer window.